You’ve Come a Long Way, Momma! It goes without saying that being a Solo Mom is one tough job: caring for your children, providing for your family, and managing a household on your own can definitely take its toll—and that’s on a normal day. Add on any number of unexpected occurrences, such as a financial emergency or a scheduling snafu, and the life of a Solo Mom can easily become overwhelming and stressful. In ESME’s article “Don’t Let Solo Mom Worries Impact Your Health,” Jackie Pilossoph discusses stress management with Sarah Allen, a mental-health professional who cautions that when “stress becomes chronic, it can damage your health, your mood, your relationships, and your overall quality of life.” Stress, however, can be managed if you practice some simple, practical strategies. Think before you say yes. It can be hard for Solo Moms to balance the multiple demands on our time. 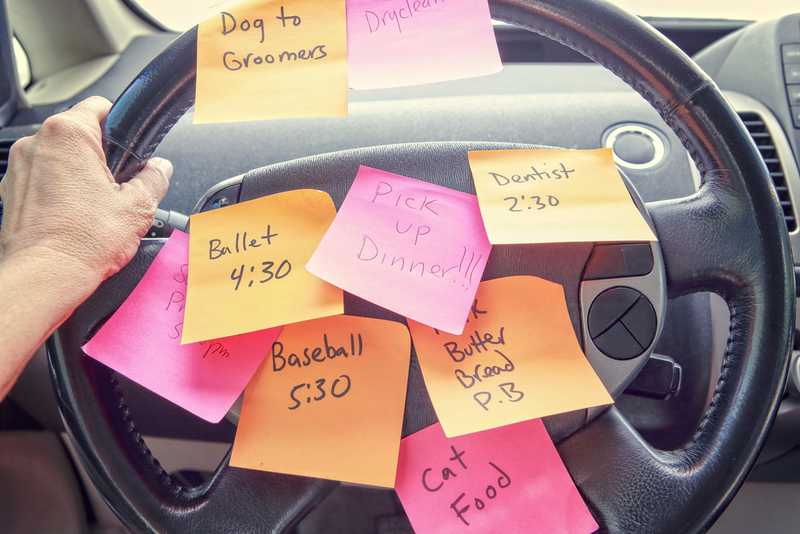 There are often more tasks to be accomplished and more errands to run than we seem to have time for. Solo Moms, like many women, can fall prey to overscheduling and overcommitting ourselves because we want to “do it all” and want to be sure our kids aren’t missing out, so we volunteer at school, take on the extra assignment at work, and serve as snack mom for the soccer team. We are exhausted and overwhelmed. One surefire way to combat the temptation to “overdo” is to think before you say yes. Allen recommends the following approach when faced with a request: “Take a moment to always say ‘Let me get back to you on that’ and then actually ask yourself if a) you want to do it and b) you have time to do it without making yourself overwhelmed.” If you don’t want to do something (and it is something truly optional), don’t do it. If you would like to do it but really don’t have the time or can’t make the time without making yourself stressed out, don’t do it. Giving yourself time to think about the request and the impact it will have on your mood, energy, and temperament will help you streamline your schedule to include the essentials and only the extras that bring you joy. Joy can be elusive for the Solo Mom, because, after all, who has time for joy when you receive a bill you hadn’t planned for or one of your kids needs a “must-have” item that was not in your budget or your twins need to be in different places at the same time after work and your boss just scheduled a meeting at 4:00 p.m.? Practice radical acceptance. In her Psychology Today article “Overcoming Obstacles,” Karyn Hall, director of the Dialectical Behavior Therapy Center of Houston, defined radical acceptance as expecting obstacles in life and understanding they are an essential part of achieving any worthwhile goal, even when that goal includes raising happy and successful children. No one wants to struggle on a difficult path, but it is rare that the road to anywhere worthwhile is not going to have some hills and bumps along the way. Sometimes expecting obstacles and accepting them as part of your journey can make them seem surmountable and easier to overcome, diminishing their seeming power. Reflect on what you’ve already overcome. I remember the scary moments when I first faced the prospect of ending my unhealthy marriage and raising two boys alone. I had not worked full time for almost five years, and I did not know how I would survive. But I did. I reentered the workforce, and month after month after month, I successfully paid my mortgage and the boys’ private-school tuition while managing to put food on the table. I remember the times when I felt like I needed to clone myself in order to get the kids from school to activities and then back home again, and instead of beating my head against the wall, I found the courage to ask for help. My mom tribe also organized carpools and ride shares, and everyone’s kids got to all the places they needed to be. When I remember all that I have overcome as a Solo Mom, it gives me confidence that I can slay whatever dragon or discomfort is in my way. I’m not saying I’m living on easy street or I don’t have my share of struggles, but I know now I am more than capable of facing and overcoming whatever obstacle is in front of me because I look back and see how far I’ve come. The next time you feel overwhelmed or stressed out, just pause for a moment. Think before you say yes to one more thing. Acknowledge and expect that there will be obstacles in this Solo Mom journey. Reflect on all you have already been through, and know you can face whatever is in front of you because you’ve already come a long way, Momma! Check out our closed Facebook groups ESME Wellness and ESME Parenting for advice and connection. At ESME, Solo doesn’t mean alone.